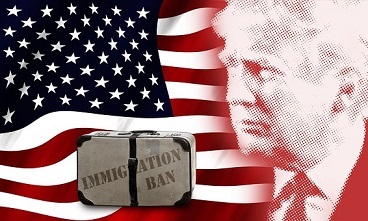 He promised to appeal the case up to the U.S. Supreme Court if necessary in order to reinstate the ban. "The Department of Justice strongly disagrees with the federal district court's ruling, which is flawed both in reasoning and in scope. The President's Executive Order falls squarely within his lawful authority in seeking to protect our Nation's security, and the Department will continue to defend this Executive Order in the courts." James L. Robart, from a Washington State District Court also heard arguments about the ban. As of the morning of MAR-16, he had not issued his ruling. "The danger [represented by immigrants and refugees from the six predominately Muslim countries] is real and the law is clear." The Trump administration plans to appeal Judge Chuang's ruling "soon," to the 4th Circuit Court of Appeals. They are seeking "clarification" of Judge Watson's ruling before appealing it to the 9th Circuit Court of Appeals. Both Judge Watson and Chuang cited statements on TV programs that had been made by President Trump and by Stephen Miller, a President's policy adviser. "I think [that] Islam hates us. "It's very hard to separate. Because you don't know who's who. ... We can't allow people coming into this country who have this hatred of the United States." In his ruling, Judge Watson referred to this interview as showing "religious animus." "... mostly minor technical differences. Fundamentally, you're still going to have the same basic policy outcome for the country." A "Motion for TRO" is a request by a plaintiff for a Temporary Restraining Order. President Trump is clearly in a class by himself, at least during early 2017. Part 10: Bomb threats extend to Canada. Federal courts stop 2nd Muslim ban.